DEMA Advocates for Diving Industry Issues in Washington, D.C.
During the week of March 25th, DEMA President & CEO Tom Ingram met with several lawmakers in Washington, D.C. to discuss important environmental and non-profit tax issues that impact DEMA Members. The meetings were part of DEMA’s ongoing public policy efforts on behalf of the Diving Industry. Tom Ingram met with the office of Florida Representative Daniel Webster to discuss HR 788 Sustainable Shark Fisheries and Trade Act of 2019. Webster is the sponsor of this bill, which would establish a certification process to ensure that foreign nations engaging in shark trade, into or through the United States, conserve and manage populations of sharks in a manner that is comparable to regulatory programs in the United States. This would effectively prohibit the practice of removing shark fins and discarding the carcass at sea. DEMA supports bills that help protect sharks, including federal bill HR 788. In addition to discussing this bill, DEMA also discussed with Representative Webster’s office the need for mooring buoys and other protections that are helpful to natural and artificial reefs. 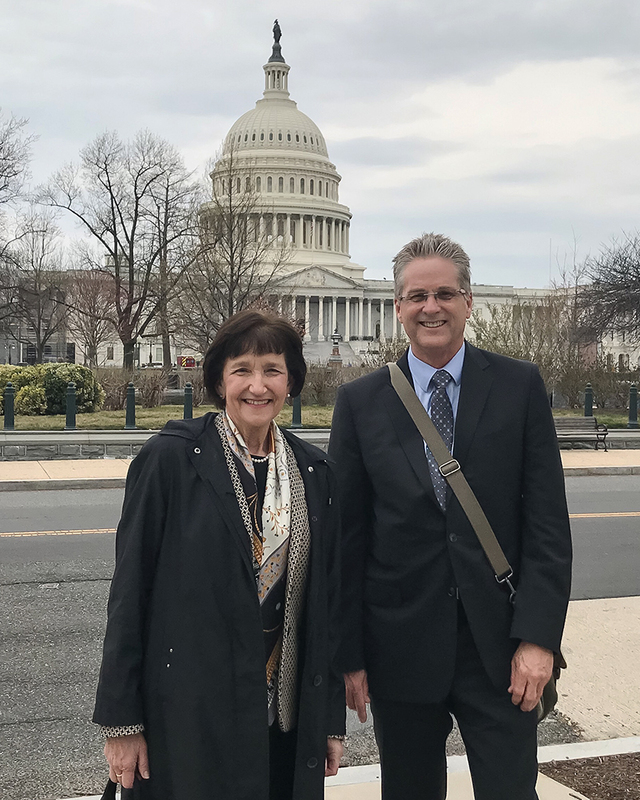 Ingram also met with the offices of California Federal Representatives Judy Chu and Scott Peters, and Senators Dianne Feinstein and Kamala Harris to discuss a tax issue important to all non-profit organizations in the U.S., including non-profit DEMA Members. Under the 2017 Tax Cuts and Jobs Act (TCJA), a new tax is being levied on non-profits that provide various fringe benefits to their employees. This new 21-percent unrelated business income tax (UBIT) on tax-exempt employers requires tax-exempt organizations to self-value these benefits to determine their new tax liability, navigate a burdensome administrative process to properly file these taxes (a first for most non-profits), and divert mission-oriented funds that would otherwise support communities across the country. On average, the tax burden for these non-profit organizations is about $12,000. DEMA met with Representatives and Senators asking them to repeal this portion of the current tax structure. As of this writing, there is a House and a companion Senate bill to repeal these tax obligations called the “LIFT for Charities Act." As this tax issue could impact all non-profit DEMA members, particularly those that supply fringe benefits that include parking and transportation benefits to their employees, DEMA suggests discussing this tax provision with tax preparers as soon as possible. DEMA continues to monitor legislation that impacts the Diving Industry through the DEMA Public Policy Committee. Members with interest in working with the Public Policy Committee should apply to participate by completing the Public Policy Committee application.